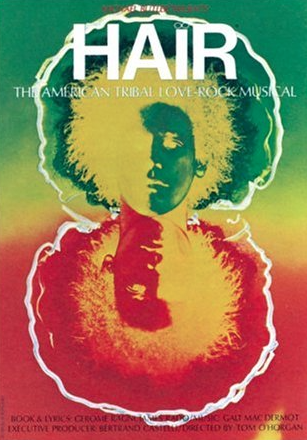 On July 10, the USPS shared details of the dedication ceremony to be held Sept. 7 at 11 a.m. in New York City’s Central Park at the Naumburg Bandshell, which is mid-park at 71 St., within minutes of his longtime home at the Dakota at Central Park West and W. 72 St. The ceremony, to be officiated by Postmaster General and CEO Megan J. Brennan, is free to attend and is open to the public. The Bandshell is a short walk away from Central Park’s Strawberry Fields, the living memorial to Lennon, officially dedicated on Oct. 9, 1985, the 45th anniversary of his birth. In October, Lennon’s Imagine album will be the subject of a comprehensive campaign with a new Ultimate Collection boxed set, a remastered Imagine film with previously unreleased footage, and a book, in conjunction with what would have been his 78th birthday. 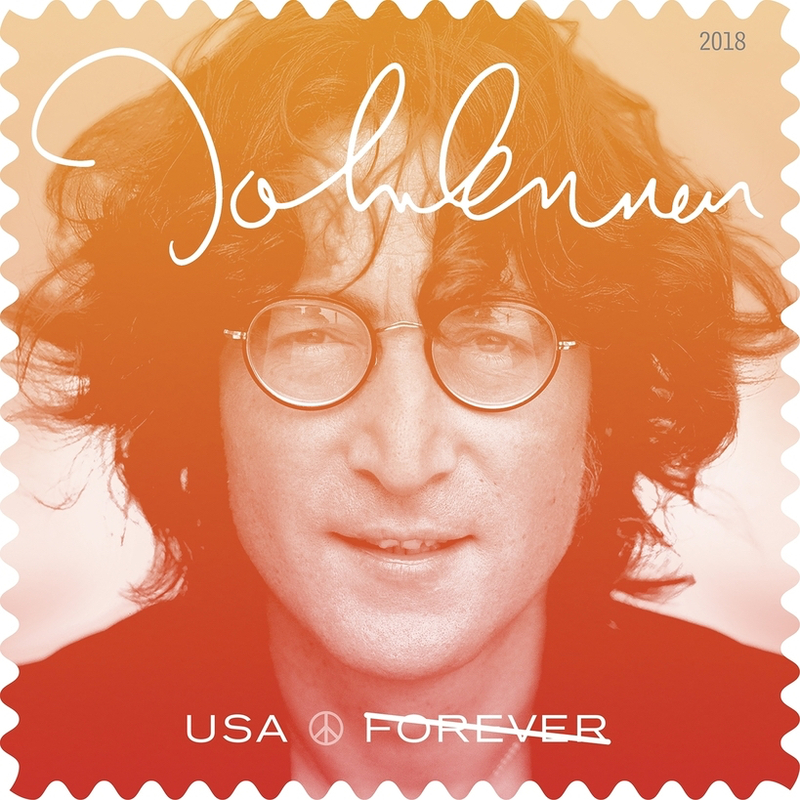 On May 10, the USPS unveiled new artwork for the Lennon stamp, part of the Forever series. 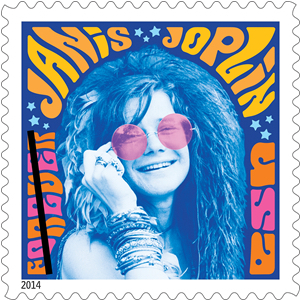 The stamp features a photograph of Lennon taken by noted rock-and-roll photographer Bob Gruen in August 1974. Taken on the rooftop of Lennon’s Manhattan apartment, the photograph is part of a series of images taken by Gruen during the photo session for Lennon’s 1974 album Walls and Bridges. From the original announcement: “The original black-and-white photograph has been treated in gradations of color: from yellow orange to red in the top row, from red to light purple in the second row, from light purple to dark purple in the third row and from dark purple to blue in the bottom row. 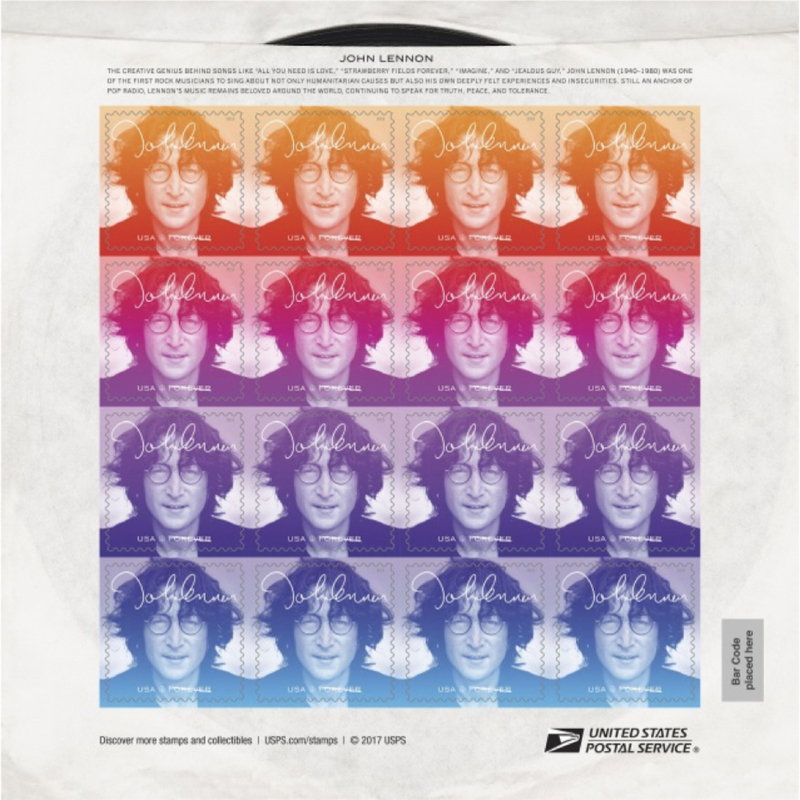 Lennon’s signature appears at the top of the stamps. ‘USA,’ the peace symbol, and the Forever denomination appear along the bottom. “The stamp pane is designed to resemble a vintage 45 rpm record sleeve. One side of the pane includes the stamps and brief text about Lennon’s legacy, with the image of a sliver of a record seeming to peek out the top of the sleeve. 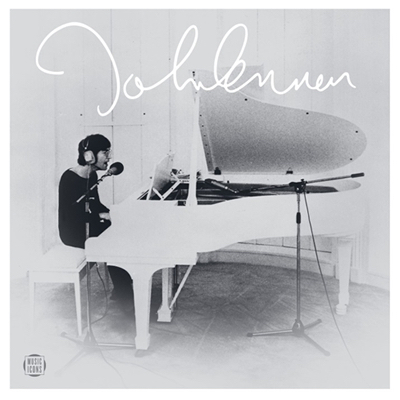 “This black-and-white photograph of Lennon seated at his white piano appears on the reverse side of the stamp pane, along with Lennon’s signature and the Music Icons series logo. Tejano performer Lydia Mendoza inaugurated the Music Icons series in May 2013. The following month, country star Johnny Cash was featured as the second of the series. 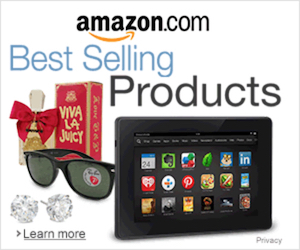 In September 2013, Ray Charles became the third honoree. 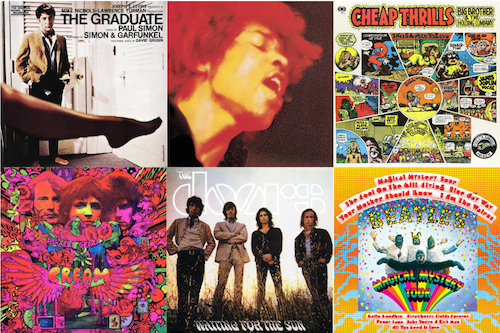 Jimi Hendrix received the honor as the fourth entry in March 2014. 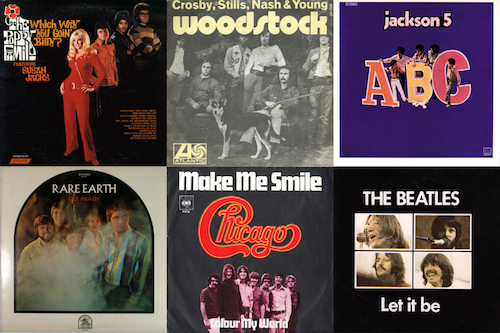 Janis Joplin joined the short list in August 2014. 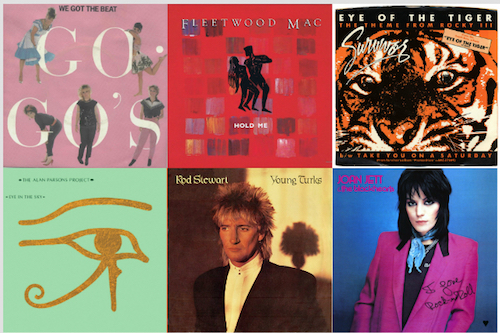 One year later, in August 2015, Elvis Presley was added to the Music Icons series. “U.S. postage stamps and stationery will primarily feature American or American-related subjects. Other subjects may be considered if the subject had significant impact on American history, culture or environment. “The Postal Service will honor extraordinary and enduring contributions to American society, history, culture or environment. Lennon received his U.S. Resident Alien registration in 1976 and was told he would be eligible for U.S. citizenship in five years. He was slain in December 1980 before he had the opportunity to do so. Yes, because something big is gonna happen Look up the Dentist to find John Lennon love child. Secrets are coming out and the post office wants to be on top of this to make money off of Lennon. Does anyone know when this will actually be available? I don’t want to miss out! We’ve updated the story. It’ll be introduced on Sept. 7 in New York.